Flipping Death - Welcome to Flatwood Peaks, a small whimsical town with a problem – Death is on vacation. Play as Penny and help trapped ghosts with your trusted scythe. 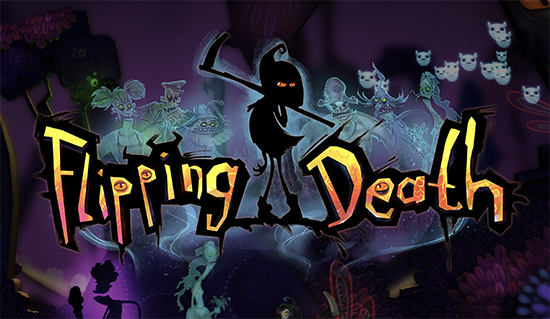 Flip the entire world around to solve puzzles on both the living and the dead side and slowly uncover the mystery surrounding your own demise. Spiritual successor to our previous well-received game Stick it To The Man!